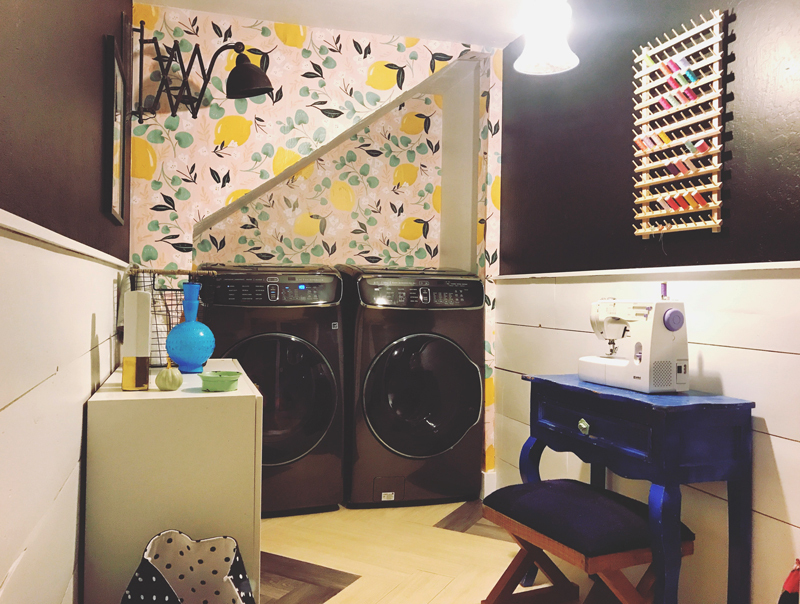 We jumped into doing a bathroom/laundry combo remodel late this summer when I got a crazy idea that we might as well just go ahead and MOVE THE LAUNDRY ROOM! We have the bathroom downstairs on one side of the stairs and had a small funky shaped room on the other that was just being used as storage and mess. Life is much more beautiful this way! First a little before history on this space – here is what the room looked like before we tackled it. Yikes! 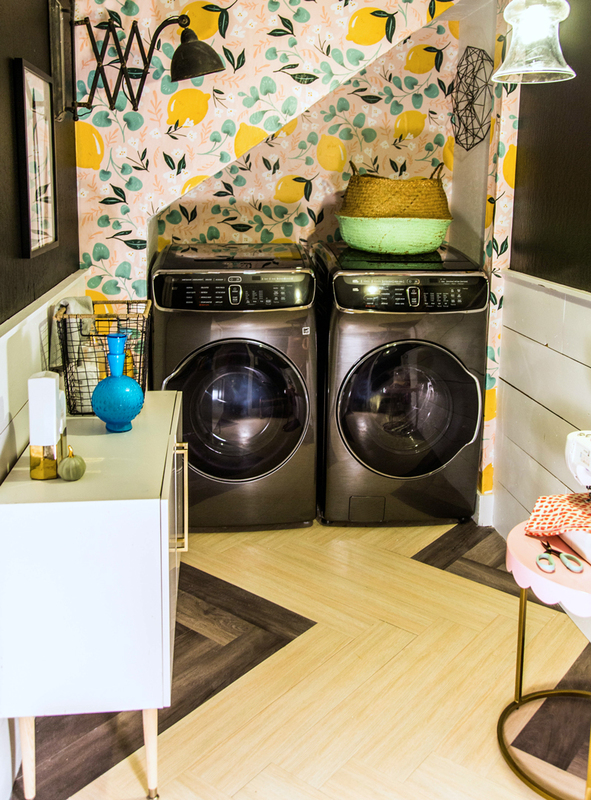 To create the laundry space we started by running the plumbing for the washer, we also had to run the 220 gauge electric for the dryer and create a new dryer vent system. 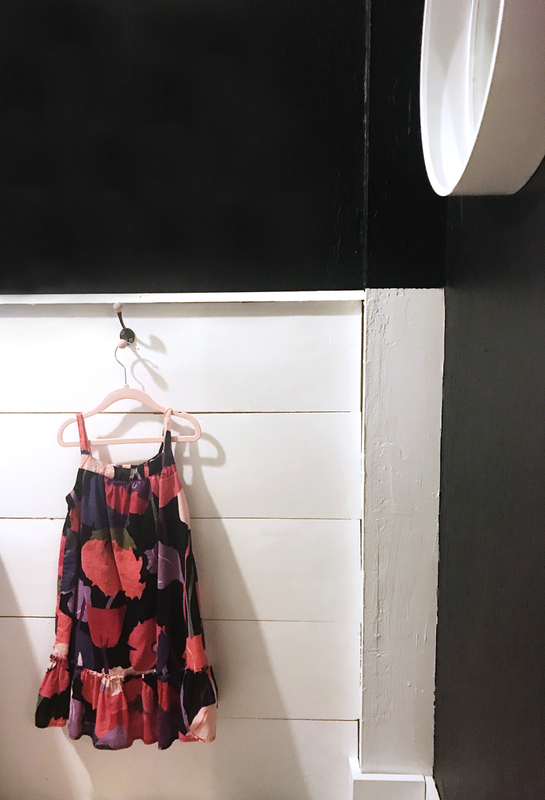 Since the back wall is an outside wall, this all ended up being super easy to do! Then Matt built a second wall over the back to cover all of this. 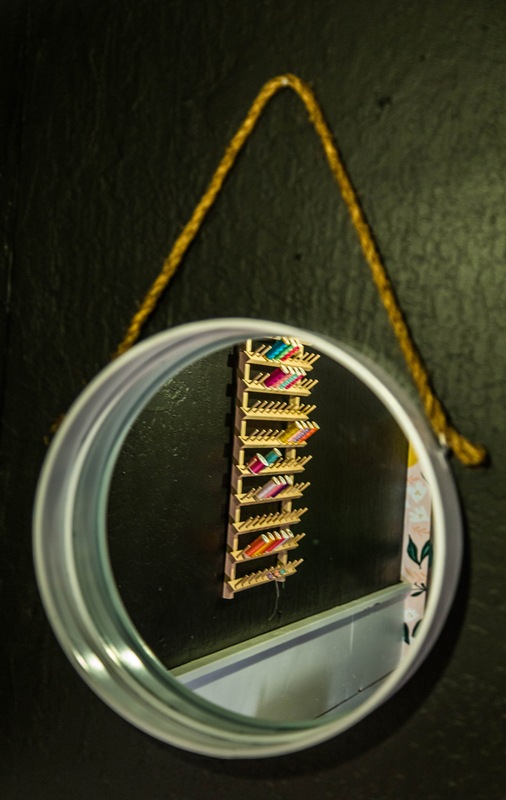 We could have built it into the current wall, but it just seemed easier to do it this way. We opted to use the same flooring we had used throughout the level with a little dark twist as the edges. The wood on the walls is actually our old flooring we pulled out upstairs! 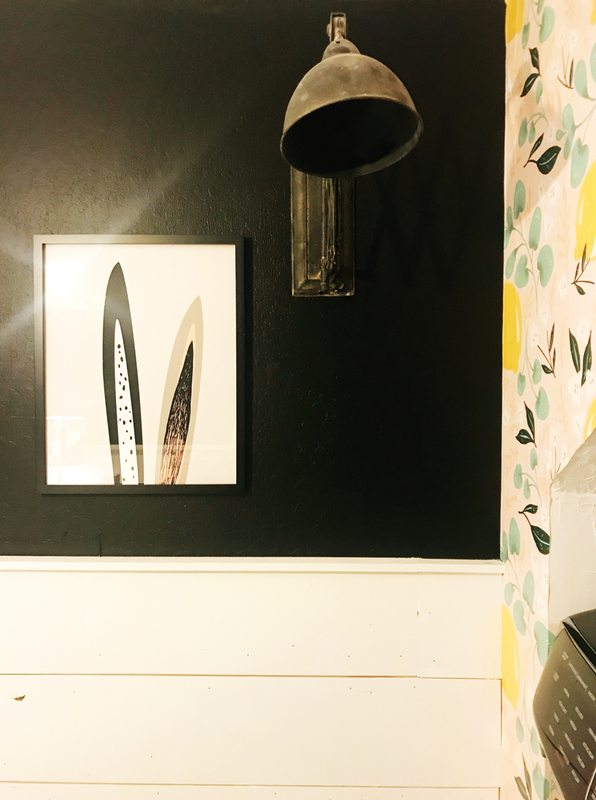 I love to reuse things like this and the tuxedo wall is such a way to pull you into the room and focus on the wallpaper. 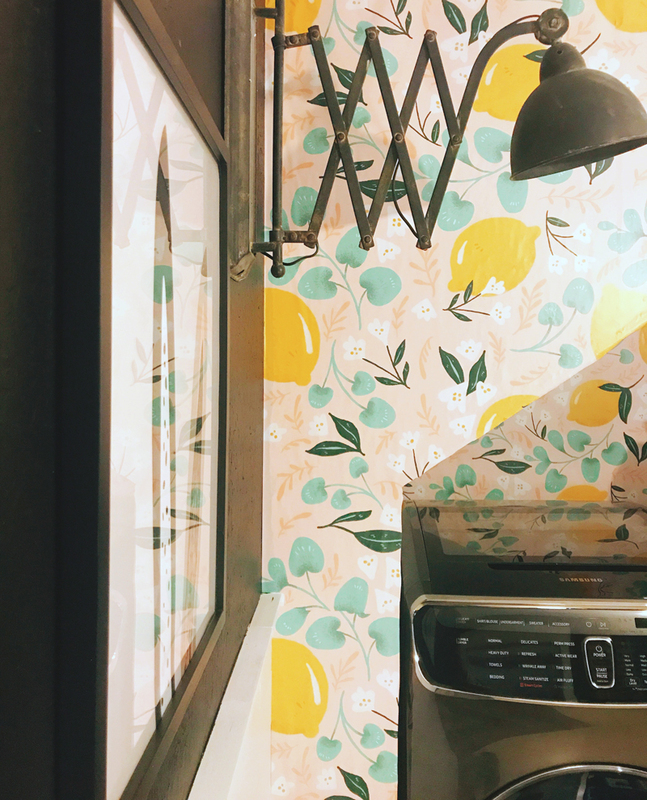 Since the little cut out where we placed the washer and dryer has a bunch of funky angles I went with a wallpaper that is bright and cheery and filled with lemons. 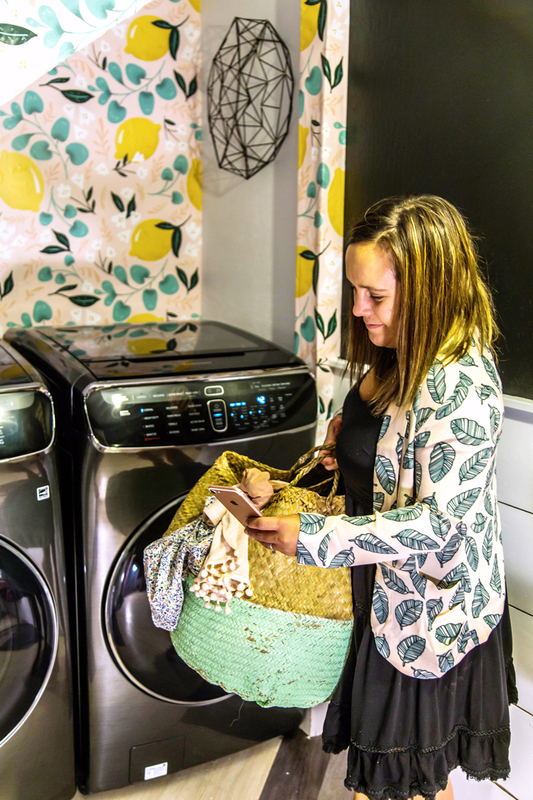 Ok – back to this laundry game-changer: one of the coolest things about the FlexWash + FlexDry is the ability to manage the wash from my phone! 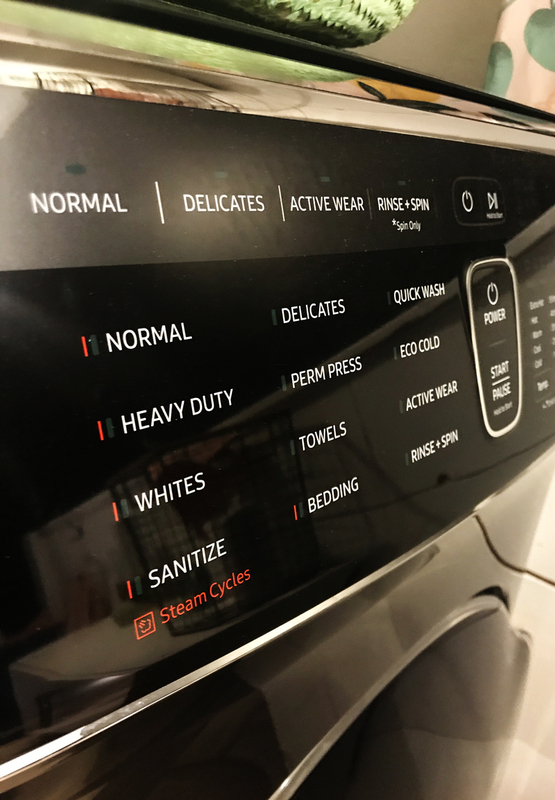 We can set it up to start the wash from my phone, which prevents that awful mildew smell that sometimes can come from leaving the wash in there while I just “run a couple errands” – which we know always takes longer than imagined. It’s part of the Samsung Smart Home app and can be set up to create alerts and has the ability to manage every load on the go. The washer can even steam! Which means I can throw just about anything in and it will come out looking beautiful. There’s not much this machine can’t do and I’m thrilled to include it in my arsenal of working momma survival. After years of doing the laundry in garages and co-bathrooms that weren’t well designed (and even in our kitchen once! ), having a beautiful and dedicated space to wash + fold the family laundry that has made the job so much better. I realize that the chore of the laundry doesn’t change no matter the surroundings, but how much I enjoy doing it surely has be upgraded with this new space. 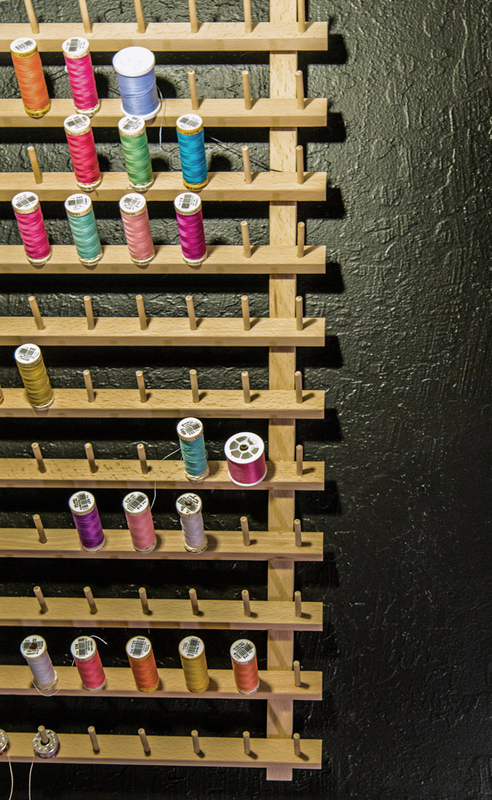 We also designed the room to hold a small corner for my daughter’s sewing habit. She loves to sew and having the machine set up right where the fabric can be laundered and ironed makes life easier for us all. 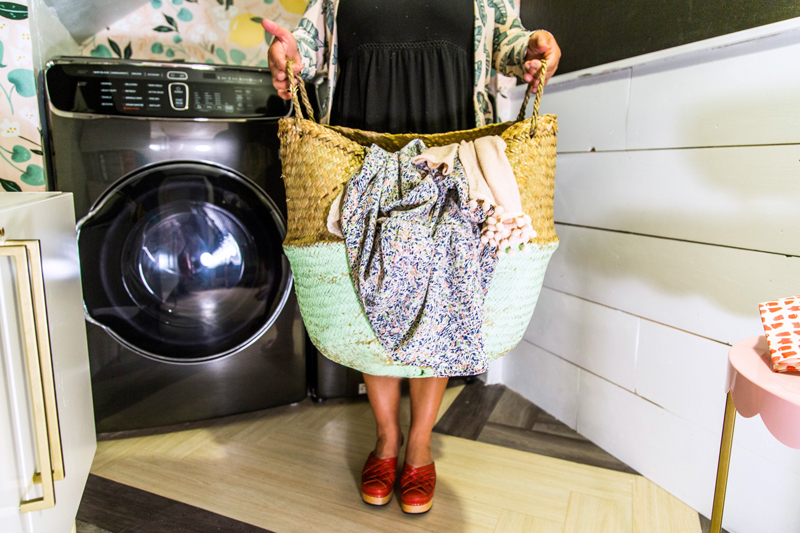 What does the laundry situation look like in your home? Hello, I’m new to your blog! Would you mind sharing where you found your orangeish- brown clogs in this photo? I LOVE them!! Thank you! !